Sadly, this would have been a great deal funnier if it weren’t for the complete disaster it really is. The news from the Deepwater Horizon catastrophe keeps on worsening. First, we heard about a piddling 1,000 barrels per day. That number was from the Coast Guard. Then, there was a quick rise upward to 5,000 barrels daily. Then, rumors suggested about 12,000 to 19,000 barrels per day was more likely. BP and Obama administration spokespersons alike hushed us: Fifteen-thousand barrels a day, folks. This is no Exxon Valdez. Don’t worry a bit! Of course not, why would we? Now, the government and BP are admitting to the “range” of 35,000 to 60,000 barrels a day, and, to quiet surging rage, have acquiesced to a 20 billion dollar escrow fund. Perhaps, in several weeks, the escrow fund will be doubled and BP’s spokesperson will start mumbling about the possibility that their own higher-end estimates of 100,000 barrels per day are accurate, while BP engineers plunk increasingly complex Rube Goldberg devices down onto the streaming wound. But imagine that none of it had happened at all. Imagine running the last 70 days backward. Marsh grasses dying from oil loaded with chemical dispersants poisoning their roots coming back to life; seabirds turning from tar black to white; corpses of dolphins and whales floating backwards out to sea from the estuaries and wetlands in which they’d washed up, then, the rims of their blowholes clearing from the asphyxiating oil; crabs suddenly coming back to life and scuttling around; ships speeding in reverse to their normal stations, the rubber containment booms going back into the ships’ holds and the floors of the rubber rafts; the metal platform rising sturdily from the sea; the firefighting ships’ water hoses absorb rather than spray water. Then, the flames, instead of leaping out from the exploding rig, leap back into it and disappear; the oil, blowing out in brown-black clouds deep underwater, slowly getting sucked into the pipe and, then, the pipe seals shut and the machinery of deep-sea oil production proceeds apace. And, then, the Gulf of Mexico disappears from the news, too. Maritime pollution is not the subject of near-daily editorials in the major newspapers. The health of the seas is suddenly out of vogue. Meanwhile, all of the petroleum that’s lurking in emulsified columns beneath the surface of the Gulf instead is incinerated, transformed into CO2 (carbon dioxide). But at least the Gulf of Mexico is spared ecocidal levels of contaminants right? Not right. Not even close. More broadly, it is not just the Gulf of Mexico that is experiencing changes in its chemical composition. The ocean itself is chemically transforming due to the rise of atmospheric CO2 levels, which have risen from 280 parts per million (ppm) before the Industrial Revolution to about 390 ppm today. Rising CO2 in the atmosphere leads to some of that excess CO2 dissolving in surface seawater, through what Doney characterizes as “well-known physical-chemical reactions.” He adds, that the “global uptake rate is governed primarily by atmospheric CO2 concentrations and the rate of ocean circulation that exchanges surface waters equilibrated with elevated CO2 levels with subsurface waters.” Scientists estimate that the total ocean intake of carbon since the start of the industrial age amounts to about 25 to 30 percent of total human CO2 emissions. The ocean has been a major sink for human-produced CO2, but maybe not for long, and not without tremendous ecological cost. When oceans absorb anthropogenic CO2, their chemistry changes. They become more acidic (lower pH levels) and have “lower chemical saturation states” for calcium carbonate (CaCO3) minerals. Sea-based organisms use those minerals to make their shells and skeletons. The two forms which are most frequently used by those organisms are aragonite, used by most mollusks and coral generally, and calcite, used by coccolithophores – single-celled algae, protists and phytoplankton – foraminifera and other mollusks. Surface seawater is currently supersaturated with those forms of calcium carbonate, while its quantity decreases with depth. When water is undersaturated, shells and skeletons can start to dissolve. Scientists believe that an increase in ocean acidification, an inevitable consequence of increasing atmospheric CO2, will probably reduce the growth of shells and skeletons for such species as corals and mollusks. At 550 ppm of atmospheric CO2 – a level we will hit if we continue on the trajectory plotted by every planet-killing compact the world has considered in recent years at its soirées in Copenhagen and Bonn – coral reefs begin to erode, instead of grow, because of oceanic acidification and the warming of surface waters. Right now, at this very moment, “ocean pH is lower than it’s been for 20 million years and it’s going to get lower. [The] acidification resulting from the current carbon dioxide emissions is massive and rapid,” comments science writer Richard Kerr. It would be a world without coral, because we insist on bumbling around in SUVs and having 11 carrier-strike groups trawling the world’s oceans, securing the supply lines for a substance that is destroying life within the realm they motor above. The fantasy of a pre-Deepwater Horizons’ blow-out world ends up looking pretty bleak. Ecocide still takes place – it’s just that there aren’t 300-foot high flame jets blowing out of ruptured oil rigs to alert us to its presence. It’s quiet death: slow acidification of the oceans, to the point that oysters and other organisms have trouble forming their shells, coral can’t accrete and metastasizing hypoxic zones, in which small immobile organisms asphyxiate when they enter and fish either circumnavigate or enter and die. And there are no “top-kill” or “relief well” techno-fixes to resurrect the ocean when we’ve killed it, a pleasant way to punctuate the arrival of the Anthropocene era, as a group of scientists dubbed the current geological era. So, in a morbid way, we can be thankful for one thing: At least powerful people are looking at the Gulf of Mexico and the ongoing horror there. The question is how to make them see all of the problems and their interlinks and fix all of them and not bluster and blather about climate change bills that won’t change anything, and techno-fixes that are hyper-elaborate, Promethean devices that attempt to treat the symptoms when the problem isn’t safely extracting oil. It’s that oil extraction isn’t safe because oil isn’t safe. The people in the global South have it right: There’s already too much CO2 in the atmosphere. The question is how to bring the increases to a screeching halt, now. Will Obama take that up at the Cancun summit in late fall? I doubt it. I doubt it unless we make him. 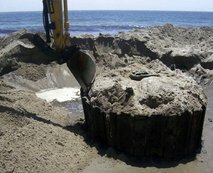 Leading environmental groups and a U.S. senator on Wednesday called on the government to pay closer attention to more than 27,000 abandoned oil and gas wells in the Gulf of Mexico and take action to keep them from leaking even more crude into water already tainted by the massive BP spill. The calls for action follow an Associated Press investigation that found federal regulators do not typically inspect plugging of these offshore wells or monitor for leaks afterward. Yet tens of thousands of oil and gas wells are improperly plugged on land, and abandoned wells have sometimes leaked offshore too, state and federal regulators acknowledge. Petroleum engineers say that even in properly sealed wells, the cement plugs can fail over the decades and the metal casing that lines the wells can rust. Even depleted production wells can repressurize over time and spill oil if their sealings fail. Regulators at the Minerals Management Service — recently renamed the Bureau of Ocean Energy Management, Regulation and Enforcement — have routinely been accepting industry reports on well closures without inspecting the work. And no one — in industry or government — has been conducting checks on wells that have been abandoned for years. The GAO report suggested MMS set up an inspection program, but the agency never did. According to a 2001 study commissioned by MMS, agency officials were “concerned that some abandoned oil wells in the Gulf may be leaking crude oil.” But nothing came of that warning. The oil that has been gushing from a BP PLC well since an exploratory oil rig exploded April 20 is an uncomfortable reminder of the potential for leaking at abandoned wells. The well was being prepared for temporary abandonment when it blew out, setting off one of the worst environmental disasters in U.S. history. Wells are abandoned temporarily for a variety of reasons. In the case of the BP spill, the well was being capped until a later production phase. Oil companies also may temporarily abandon wells as they re-evaluate their potential or develop a plan to overcome a drilling problem or damage from a storm. Some owners temporarily abandon wells to await a rise in oil prices. Regulations for temporarily abandoned wells require oil companies to present plans to reuse or permanently plug such wells within a year — and then an annual review — though the AP found those rules are used to allow wells to remain “temporarily” abandoned forever. Sen. Mark Udall, D-Colo., sent a letter Wednesday to Interior Secretary Ken Salazar asking whether regulators have authority to do inspections of abandoned wells. He said regulators may ultimately need to check industry paperwork more carefully or inspect the work itself. “We can’t afford the leak that’s now occurring. We certainly couldn’t afford additional leaks in the future,” Udall said. Environmental activists called for the government to study the extent of leaking, conduct inspections and monitor these wells over the years. Melinda Pierce, deputy director of national campaigns for the Sierra Club, said the AP investigation shows that the government must do more to prevent another oil disaster. “From exploration to drilling to the sealing of abandoned wells, the government must step up safety inspections and oversight to ensure that oil companies don’t cut corners that could put our marine resources and coastal economies at risk,” she said. Elgie Holstein, the senior director of strategic planning for the Environmental Defense Fund’s land, water and wildlife program, said “it certainly makes sense” for the government to periodically inspect abandoned wells to ensure that they have been properly plugged. Holstein is a former U.S. Energy Department official during the Clinton administration who was on President Obama’s transition team. Oil companies say they plug correctly, and that seals on properly plugged wells should last virtually forever. The announcement comes one day after Truthout published an extensive investigative report that was highly critical of his leadership of the company and revealed details, based on hundreds of pages of internal documents and in interviews with more than a dozen senior employees, of severe cost-cutting measures Hostler implemented that threatened the safety and integrity of the pipeline. Click here to listen to Jason Leopold discuss Truthout’s groundbreaking report on Alyeska and Kevin Hostler’s decision to step down from the company on Public News Service. Staffers also queried Hostler about the findings of an investigation conducted by attorney Charles Thebaud, of the Washington, DC law firm Morgan, Lewis & Bockius. Thebaud launched his probe in February after some Alyeska managers anonymously filed complaints with BP’s Office of the Ombudsman about a number of issues, including failures to address matters concerning safety and maintenance and a controversial decision Hostler made last year to relocate about 30 safety and integrity management engineers from Fairbanks to Anchorage, Alaska – hundreds of miles away from the pipeline. Over the past several months, Alyeska Pipeline and the company’s Chief Executive Officer, Kevin Hostler, have been under intense scrutiny by a Congressional oversight committee and an independent investigator, who has been probing explosive allegations leveled by managers that severe cost-cutting efforts could put the integrity of the 800-mile Trans Alaska Pipeline System (TAPS) at risk. Allegations that major oil companies routinely cut corners in areas such as safety and maintenance have taken on new urgency following the catastrophic explosion aboard the BP-operated Deepwater Horizon drilling rig, which killed 11 employees and ruptured a newly drilled well 5,000 feet below the surface, spewing hundreds of millions of gallons of oil into the Gulf. Evidence has surfaced since then that showed BP scrimped on safety and maintenance spending, despite repeated warnings that such moves could prove disastrous. It’s no coincidence that Alyeska has been accused of taking similar risks with TAPS and lashing out at employees who speak up. BP is the largest shareholder of Alyeska and Hostler is a BP executive “on loan” to the company. BP exerts significant control and influence over the way Alyeska is operated, senior BP and Alyeska officials said. “The pervasiveness is due to [Alyeska] being led by a BP executive [Kevin Hostler], and BP can wield enormous pressure on the other owners [of the pipeline] who to a large extent share a desire to operate the pipeline with as little cost as possible,” the BP executive said. Last week, Hostler was called into Washington for the second time in a month to meet with staffers from Rep. Bart Stupak’s office. Stupak (D-Michigan) is the chairman of the House Energy Committee’s subcommittee on oversight and investigations. Staffers also queried Hostler about the findings of an investigation, that recently concluded, conducted by Charles Thebaud, an attorney with the Washington, DC law firm Morgan, Lewis & Bockius. The probe was sparked in February after some Alyeska managers anonymously filed complaints with BP’s Office of the Ombudsman about a number of issues, including failures to address matters concerning safety and maintenance and a controversial decision Hostler made last year to relocate about 30 safety and integrity management engineers from Fairbanks to Anchorage, Alaska – hundreds of miles away from the pipeline. Hundreds of pages of internal Alyeska documents and emails obtained by Truthout and interviews with more than a dozen senior employees show Hostler and senior Alyeska executives ignored dozens of warnings from employees over the past year that deferring critical maintenance projects and implementing budget cuts could expose the aging pipeline to further vulnerability. Do you like this? Click here to have Truthout delivered to your email, daily. Essentially, what Hostler has done is reverse a decision made in 1997 by then-Alyeska President Bob Malone to move employees from Anchorage to Fairbanks to be closer to the pipeline so they could easily access it in the event of a spill or to perform monitoring and maintenance functions. The relocation affects about 30 engineers, scientists and technicians who are directly responsible for the monitoring and maintenance of the integrity, safety and environmental compliance of TAPS. About 10 contractors are also included in the plan. “The job functions of these Alyeska personnel and their support contractors requires frequent interface with TAPS facilities and personnel operating these facilities,” states a confidential email sent February 18 to BP’s ombudsman’s office and Rep. David Guttenberg (D-Fairbanks), who has been the lone voice in state political circles trying to get federal and state officials and owner representatives of the pipeline from ConocoPhillips and ExxonMobil to take action. If integrity management employees need to immediately respond to an incident on the pipeline, they will now have to travel by airplane to Fairbanks then drive to the area of the pipeline that requires attention. The pipeline does not run through Anchorage. Employees familiar with the chain of events that unraveled over the last nine months have indicated to Truthout that Tom Webb, Alyeska’s manager of integrity management urged Brian Tuminello, the director of engineering, and senior Vice Presidents Mike Joynor and Jones to support the relocation review. These senior managers and executives agreed with the analysis, but were afraid to openly defend it against Hostler for fear of losing their jobs, employees knowledgeable about their discussions said. An internal Alyeska email sent to employees in February said the company expects to save about $4 million by reducing its “real-estate footprint” in Fairbanks. Guttenberg said Egan’s statement doesn’t make sense. Egan said TAPS has been “substantially reconfigured” since Malone implemented the move from Anchorage to Fairbanks, 13 years ago, via new automated pump stations and the company no longer needs to have integrity management employees located in the direct vicinity of the pipeline. “If anything, an aging 35 year old pipeline needs more people nearby monitoring it that it did 10 or 20 years ago,” this employee said. The BP Alaska official agreed. “The Deepwater Horizon disaster and the recent spill at pump station 9 on TAPS ought to serve as a wakeup call for everyone involved in overseeing and maintaining the integrity of Alaska’s oil and gas infrastructure,” Guttenberg said in a letter he sent June 14 to Mike Thompson, the state pipeline coordinator at the Joint Pipeline Office. Guttenberg said he was most concerned that the Joint Pipeline Office has failed to conduct adequate oversight of the way Alyeska operates TAPS and he asked the agency to provide him with a detailed explanation describing the oversight it has conducted in light of the relocation of personnel and the spill at pump station 9. Guttenberg said the Joint Pipeline Office has not yet responded to his query. A spokesperson for the agency did not return calls for comment. The spill at pump station 9 resulted when oil started to flow back into the tanks, about 100 miles south of Fairbanks and the site of several previous maintenance failures, due to a backup battery system failure. Because the power was out and the facility was unmanned, no one was able to determine the amount of oil that flowed into the tanks, which eventually overflowed and spilled into a containment area at the pump station. Patricia Klinger, a spokeswoman for the Department of Transportation’s Pipeline and Hazardous Materials Safety Administration (PHMSA) said in an interview that the circumstances behind the spill are under investigation by federal regulators. Klinger noted that PHMSA inspectors are scheduled to be in Alaska later this summer to inspect the pipeline and will also “look at [Alyeska’s] documents and records” to ensure the company is in compliance. Stanley Sporkin is a retired judge and former general counsel of the CIA, who was tapped by Malone in late 2006 as BP’s ombudsman following revelations in the aftermath of the largest oil spill on the North Slope that year that the company – along with Alyeska – retaliated against employees who brought up safety concerns and failed to perform routine maintenance at its production facilities and corrosion inspections on its pipelines. Since his tenure, his office has registered 202 employee concerns, more than half of which were generated from BP Alaska, a majority of which involves safety issues and retaliation, according to a previously unreleased letter Sporkin prepared in February for the House Energy and Commerce Committee. Because Sporkin’s work as an ombudsman strictly involves BP-related matters, it seemed odd that Alyeska employees would contact his office to file their complaints. It turns out that Sporkin’s deputy, Billie Garde, a partner in the law firm Clifford & Garde, had previously worked for Alyeska; and, years ago, Garde represented numerous whistleblowers that Alyeska had retaliated against and fired and the ombudsman’s office was contacted by an Alyeska manager as a result of her past work on behalf of employees who formerly worked for the company, according to an email sent to the ombudsman’s office late last year. That email said there is “an extreme level of fear and chilling effect at Alyeska to bring concerns forward” because Hostler is retaliatory and has threatened to fire employees who disagree with him or oppose him. Although not identified by name, the email sent to BP’s Office of the Ombudsman late last year was also harshly critical of Alyeska’s Human Resources Director Theresa Guim and Valdez Terminal Director Kathy Zinn, who were accused of advancing a culture of fear that permeates throughout the company because of their close ties to Hostler. Garde immediately stepped in after that email was sent, according to people close to the ombudsman’s office, BP officials and government officials knowledgeable about the events. Copies of some of the initial emails sent to the ombudsman’s office were also sent to Stupak’s and Guttenberg’s offices. Sporkin is said to have discussed the Alyeska issue with Lamar McKay, president of BP North America. McKay reportedly told Sporkin to just “deal with it” and that he did not want to have anything to do with the matter. 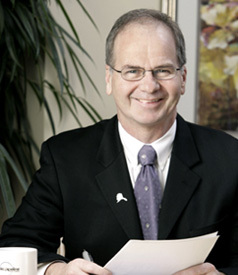 In February, a month after Sporkin’s office was first contacted about the employee concerns, Alyeska, under pressure from Sporkin and Garde, hired Thebaud to investigate employee complaints about the impact the relocation would have on safety and integrity and the charges employees made against Hostler. 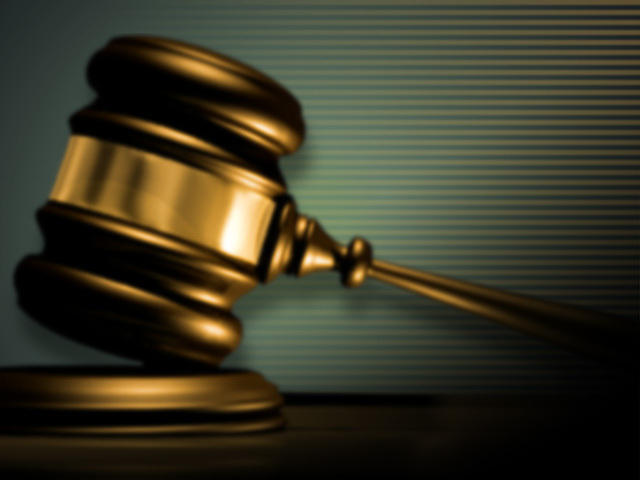 Thebaud, who along with another attorney, Jane Diecker, conducted interviews with employees in Fairbanks and Anchorage over several months, had previously conducted investigations for Alyeska and BP related to similar employee concerns. One of the investigations Thebaud has conducted involved claims that Hostler had retaliated against one of the company’s former senior executives, Robert Glen Plumlee. In March of 2006, following a pipeline rupture that resulted in a large oil spill on the North Slope near BP’s Prudhoe Bay facility, Plumlee, Alyeska’s strategic planning coordinator, filed a complaint with then-Secretary of Labor Elaine Chao, against Hostler and Alyeska, alleging Hostler placed him under surveillance and kept a secret file on him after he cooperated with federal criminal investigators who were probing Alyeska and BP for environmental-related crimes. The investigation was launched following revelations that BP and Alyeska failed to conduct corrosion inspections on its pipelines. Plumlee said in his letter he was contacted by “U.S. Federal Criminal Investigators (Special Agents)” after he had met with Hostler in November 2005 to discuss a promotion. One of the federal law enforcement officers who questioned Plumlee, Truthout has confirmed, was Scott West, the Environmental Protection Agency’s (EPA) former special agent-in-charge. West was the special agent-in-charge at the EPA’s Criminal Investigation Division, who had been probing alleged crimes committed by BP and the company’s senior officials in connection with the March oil spill. West said he could not discuss the Plumlee interrogation. Plumlee told federal investigators he was pressured to boost estimates of how much Alyeska was spending to fight corrosion on TAPS. Severe corrosion in one of BP’s transit pipelines at Prudhoe Bay, which connects directly to TAPS, was the reason the company shut down its North Slope operations in 2006 following the large spill. Plumlee claimed that company executives pressured him in December 2005 to alter the amount of money Alyeska spent on pipeline corrosion – from $28 million to $46 million – for the previous year, which he refused to do. But Alyeska apparently got someone else to inflate those figures, according to previously published reports and documents. Plumlee added that it wasn’t the first time he had been asked to cook the books on corrosion spending. “On September 19, 2005, an Alyeska executive asked him to pull together the numbers on corrosion spending for Steve Marshall, BP Exploration (Alaska) Inc.’s president,” according to an April 5, 2005, report in the Fairbanks News-Miner. Plumlee said after federal criminal investigators interrogated him he began to cooperate with Thebaud’s investigation. “I provided Charles Thebaud the same detailed information that I had provided the Federal Agents,” Plumlee said in his letter. “Charles Thebaud, and my supervisor, Nathan Brock, Director of Strategic and Business Planning both took extensive notes during two ‘interviews’ where I held nothing back. The interviews lasted over six hours. Hostler has never publicly discussed Plumlee’s claims. Hostler had announced he intended to retire in December. But three senior Alyeska executives said he might speed up his departure date in light of the microscope he and Alyeska have been placed under. Thebaud recently completed his investigation into Alyeska employees’ concerns. A copy of his report, which has not been released to employees, was turned over to Stupak’s committee. People familiar with the report’s conclusions said it’s damaging and is harshly critical of Hostler’s management style. Egan, the Alyeska spokeswoman, said Hostler was not available to comment on the report’s critical conclusions into Hostler leadership. Two Congressional staffers, who have seen the report and commented on it after Hostler’s meeting with oversight committee staffers last week, confirmed that it substantiated some employee concerns about the safety and integrity of TAPS. It’s unclear what specific issues lead Thebaud to reach those conclusions. However, Alyeska summarized the report’s findings to employees in a company-wide email distributed June 30 far differently. Egan said Alyeska’s “Business Practices/Employee Concerns program (which recently merged with our Compliance and Ethics Group) will develop a plan for enhancing the open work environment” to deal with issues of intimidation and fear. A BP Alaska official and several people close to the ombudsman’s office said Sporkin and Garde were “livid” by Alyeska’s characterization of Thebaud’s investigation. These people said Sporkin fired off a letter to BP late last week stating that he perceived Thebaud’s report did substantiate a number of safety and integrity issues raised by employees. Furthermore, Sporkin told McKay, who he had spoken to about the employee complaints prior to the launch of Thebaud’s investigation, that he should order Alyeska to reverse its decision to relocate employees from Fairbanks to Anchorage. Neither Sporkin nor Garde returned calls for comment. Rinehart, the BP Alaska spokesman, said he was not familiar with Sporkin’s letter and had no comment. Spokespeople for the other oil companies did not return calls for comment. 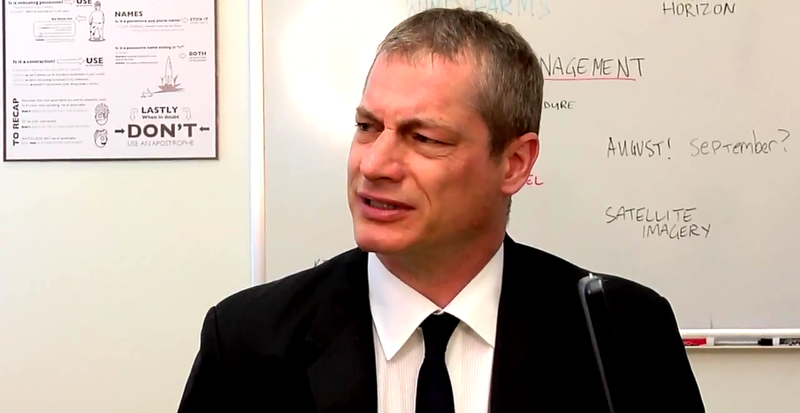 Scott Schloegel, Stupak’s chief of staff, would not discuss the contents of the report, but he did say it was “serious” and “concerning.” He added that, while the relocation of the integrity management team was a “business decision” by Alyeska, the oversight staff intends to monitor whether the move will impact safety. Alyeska “needs to know we are watching them,” Schloegel said. Klinger, the spokeswoman for PHMSA, added that her agency couldn’t do anything about the relocation and echoed Schloegel. Egan noted that the oversight committee requested a copy of the 39-page relocation analysis, indicating that Congressional staffers may not be satisfied with the company’s assertions that moving employees hundreds of miles away from the pipeline won’t have a direct impact on safety. “All members of the Integrity Management Team provide key support to these Specialists in the execution of their duties,” the relocation analysis says. “The loss of key contributors in the move to Anchorage would result in a loss of critical knowledge and skills that are required to perform the functions necessary to insure continued regulatory compliance. 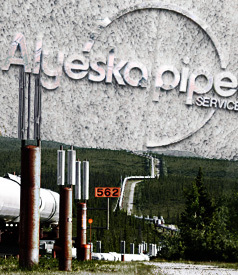 This loss will leave Alyeska at risk of receiving” violations from the PHMSA, “as well as potential enforcement actions from” Alaska’s Joint Pipeline Office. Alyeska is now having difficulty filling those vacancies, which Hostler had said would happen by the end of June. Emails sent to BP’s ombudsman’s office and the relocation analysis point out that the any loss of integrity management staff will “set Alyeska back on progress that [the company] made” since 2007, when it beefed up its integrity management team after Hostler testified to Congress about corrosion prevention efforts on TAPS. A careful review of violation and penalty assessment records posted on the PHMSA web site lists more than 100 probable violation incidents between 2001 and 2007, many of which are related to integrity management issues such as corrosion monitoring deficiencies. But since 2007, there has been a reduction in violation assessments ,which, employees argue, is directly related to the company’s investment in integrity management. The analysis further states that a relocation to Anchorage would result in the loss of half of the integrity management team staff. That prediction was borne out, according Alyeska employees, as eight of the 18 people who were asked to relocate to Anchorage quit and two more are likely to depart the company. Alyeska is now having difficulty filling those vacancies, which Hostler was quoted as saying would happen by the end of June. Replacing these personnel will be a challenge, according to a pipeline industry report published in July 2009. A government official says that Congo’s president is heading to the site of the massive tanker blast in eastern Congo that killed at least 242 people. Marcellin Cishambo, a Congolese governor, says President Joseph Kabila already has visited some patients in the eastern province of South Kivu. Kabila will visit the mass gravesite in Sange on Monday where more than 200 of the victims have been buried. Kabila also has declared a two-day national mourning period. A tanker truck hauling fuel on a rural eastern Congo highway overturned Friday and exploded killing bystanders, including many who had been watching the World Cup in flimsy roadside shacks. 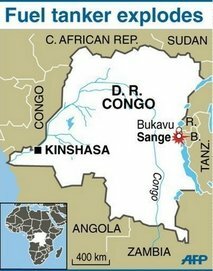 Congo’s health minister said Monday the death toll has now reached 242. In the immediate aftermath of the Deepwater Horizon disaster, BP publicly touted its expert oil clean-up response, but it quietly girded for a legal fight that could soon embroil hundreds of attorneys, span five states and last more than a decade. BP swiftly signed up experts who otherwise would work for plaintiffs. It shopped for top-notch legal teams. It presented volunteers, fishermen and potential workers with waivers, hoping they would sign away some of their right to sue. Recently, BP announced it would create a $20 billion victim-assistance fund, which could reduce court challenges. Robert J. McKee, an attorney with the Fort Lauderdale firm of Krupnick Campbell Malone, was surprised by how quickly BP hired scientists and laboratories specializing in the collection and analysis of air, sea, marsh and beach samples — evidence that’s crucial to proving damages in pollution cases. Five days after the April 20 blowout, McKee said, he tried to hire a scientist who’s assisted him in an ongoing 16-year environmental lawsuit in Ecuador involving Dupont. At the same time it was bolstering its legal team, BP was downplaying how much oil was spewing from the Deepwater Horizon well — something that lawyers say is likely to be a critical factor in both court decisions and government fines. “The rate we’re seeing today is considerably lower, considerably lower, than what was occurring when you saw the rig on fire,” BP America’s chief operating officer, Doug Suttles, told NBC Nightly News on April 25, three days after the Deepwater Horizon sank. BP would stick to low estimates of how much oil was leaking — first, 1,000 barrels a day, then 5,000 barrels a day — until the Obama administration stepped in under congressional pressure nearly a month later and set up an independent commission of scientists to determine the flow. In mid June, the so-called Flow Rate Technical Group said the well is gushing 35,000 to 60,000 barrels a day — but the delay and imprecision of that estimate will make how much oil escaped into the gulf a matter of debate for years. A BP spokesman said the company doesn’t comment on lawsuits and “won’t be giving running commentaries” on the number of court actions it’s facing. In Florida, however, the company has hired Akerman Senterfitt, the state’s largest law firm and a major player in the state’s capital. It’s a strategy the company is likely to follow throughout the Gulf. When President Barack Obama met with BP executives last month to set up the $20 billion fund, BP was represented by Jamie Gorelick, who was deputy attorney general under President Bill Clinton. 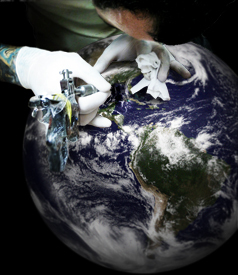 The grounds for the suits and potential suits run the gamut: federal pollution and environmental laws, general maritime law, international treaties, public-nuisance codes and even state and federal racketeering laws. Under the federal Oil Pollution Act, state and local governments can sue to collect lost tax revenues and the cost of increased governmental services as a result of a spill. That can include lost sales and hotel room taxes in tourist-dependent towns all across the Gulf coast. So far, an estimated 250 court suits have been filed against BP, and more come each day. Florida Gov. Charlie Crist has tapped Steve Yerrid, one of the so-called “dream team” of lawyers that won Florida $11.3 billion in a landmark tobacco suit, to assemble a new legal crew to provide advice. Counties and cities are hiring lawyers as well. Brian O’Neill, a lead attorney in the 1989 Exxon Valdez oil spill case, said the Gulf Coast states and residents should realize it will take years to clean the waters, the marshes and the beaches. Three years after the Alaska spill, salmon stocks started to return, he said, but the herring population was “exterminated” in Prince William Sound. Exxon spent $2 billion and cleaned up just 8 percent of the oil, he said. And the oil never left. The fight against the oil company is likely to take decades. St. Petersburg crabber Howard Curd is expecting a long battle. His blue- and stone-crab fishing grounds in Tampa Bay were killed off when Hurricane Frances blew out a retaining wall at a phosphate pit that spewed acidic water into the bay. The fertilizer company, Mosaic, persuaded a trial court and an appeals court that Curd and other fishermen couldn’t sue because they didn’t own the seafood that was potentially killed, so they weren’t technically damaged. Finally, six years later, the state Supreme Court on June 17 reversed lower-court opinions and said Curd and other fishermen could sue. Curd now has to prove damages in court. The ruling in his favor arrived just in time for Florida’s 23,422 commercial and charter fishermen who could use the new ruling to press pollution claims against BP. Curd said crabbing in the bay is bouncing back, but the BP spill is depressing seafood sales even though the oil is nowhere near the western coast of Florida. He’s prepared to sue BP, but harbors no illusions about facing a big corporation in court. From Washington to the Gulf, politicians and residents wonder why so few skimming vessels have been put to work soaking up oil from the Deepwater Horizon catastrophe. Investment banker Fred D. McCallister of Dallas believes he has the answer. McCallister, vice president of Allegiance Capital Corp. in Dallas, has been trying since June 5 to offer a dozen Greek skimming vessels from a client for the cleanup. McCallister’s experience in trying to win approval for the Greek vessels, along with the frustrations others have expressed in offering specialized equipment, contradicts the official pronouncements from BP and the federal government about the approval process. For foreign vessels, that process is complicated by a 1920 maritime law known as the Jones Act. Coast Guard Rear Adm. James Watson, who oversees the Unified Command catastrophe response in New Orleans, determined in mid-June an insufficient number of U.S. skimming vessels is available to clean up oil, essentially exempting from the federal Jones Act foreign vessels that could be used in the response, said Capt. Ron LaBrec, a spokesman at Coast Guard headquarters in Washington. The Jones Act allows only vessels that are U.S. flagged and owned to carry goods between U.S. ports. LaBrec said 24 foreign vessels, two of them skimming vessels, have operated around the catastrophe site, in federal waters with no need for Jones Act waivers. He also said Watson has the authority to approve operation of foreign-flagged vessels near shore, where the Jones Act comes into play because of the port restrictions. “If the unified area commander (Watson) decides that it’s a piece of equipment he needs, either BP would contract for it or he can do that himself,” LaBrec said. “If it’s something he decides is absolutely needed, he can get it in here without BP approval. McCallister said none of his dealings have been with the Coast Guard. He submitted requests for Jones Act waivers to Unified Command, but said questions about the skimming vessels have come from BP. BP spokesman Beaudo said McCallister was notified his offer of skimming vessels has been declined because the vessels will not pick up heavy oil near shore. Beaudo said he did not know when McCallister was informed. McCallister said he received communications from BP on Thursday that indicated his proposal was still under review. In fact, he sent supplemental material Thursday, which was accepted, to show the skimming vessels will pick up heavy oil like that bombarding Mississippi’s coastline. The 60-foot vessels, he said, can skim high-density crude up to 20 miles offshore. Equipment on board separates the oil from water. All the Gulf states dealing with oil have pleaded for more skimming vessels. The Deepwater Horizon Web site indicates 550 “skimmers” were at work before bad weather suspended operations. Mississippi Gov. Haley Barbour’s office has ordered private shipyards to build skimming vessels because so few have been working in state waters. 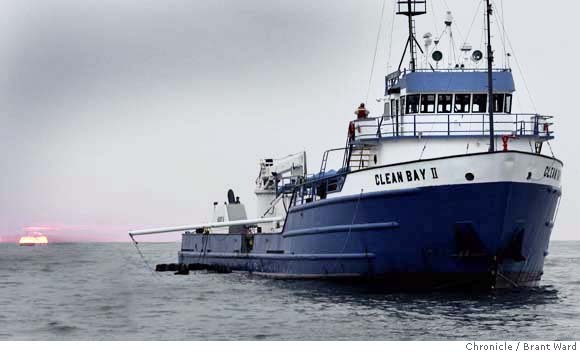 George Malvaney, who heads the Mississippi Coast cleanup effort for BP subcontractor U.S. Environmental Services, said offers of skimming vessels and other equipment take time to review. He believes Mississippi will have a “substantial skimming effort” by late next week. As the catastrophe reaches Day 73, McCallister, who grew up in Mississippi and has family on the Coast, believes there is just more to it. “Looking at it from a businessman’s perspective,” he said, “if I am BP, assuming I don’t have a conscience that would steer me otherwise, the best thing I can do for my shareholders, my pensioners, and everybody else, is to try to spread the cost of this remediation out as long as I can.